The Northeast Consortium encourages and funds collaborative research and monitoring projects in the Gulf of Maine and Georges Bank that have effective, equal partnerships among fishermen, scientists, educators, and marine resource managers. The purpose of the New Hampshire Charitable Foundation is to improve the quality of life in the communities we serve. Generous support for the Gulf of Maine Times was provided by the Otto Haas Charitable Trust 2 Fund of the New Hampshire Charitable Foundation. The Maine State Planning Office strives to integrate the development of the State’s economy with the conservation of its natural resources. The Chewonki Foundation is dedicated to helping people grow individually and in community with others by providing educational experiences that foster an understanding, appreciation, and stewardship of the natural world and that emphasize the power of focused, collective effort. Fisheries and Oceans Canada delivers programs and services that support sustainable use and development of Canada’s waterways and aquatic resources. The Department of the Interior manages more than 2 billion acres of America’s treasured ocean and coastal resources. Each year over 100 million people visit coastal refuges, parks, national seashores, historic sites and marine national monuments. Visit, learn, volunteer. SeaPlan works to foster resilient ocean ecosystems so they can provide the goods, services and sustainable economies we all want and need. The New England Ocean Science Education Collaborative (NEOSEC) is a diverse networked collaboration of more than forty institutions from across New England, including aquariums, museums, universities, government entities and science and research centers. NEOSEC’s mission and collective purpose are to leverage New England’s extraordinary assets, to engage the public in understanding the vital connections between people and the ocean. Environment Canada’s focus is protecting the environment, conserving Canada’s country’s natural heritage and providing weather and environmental predictions to keep Canadians informed and safe. Environment Canada is a diverse organization where our programs, services, and people lead the way in implementing the federal government’s environmental agenda. Census of Marine Life, which seeks to explain the diversity, distribution, and abundance of life in the ocean – past, present, and future. Research from this joint US/Canadian program will contribute to the development of ecosystem-based management (EBM) in the Gulf of Maine and around the world. The Conservation Law Foundation (CLF) protects New England’s environment for the benefit of all people. Using the law, science and the market, CLF creates solutions that preserve natural resources, build healthy communities, and sustain a vibrant economy region-wide. Founded in 1966, CLF is a non-profit, member-supported organization with offices in New Hampshire, Maine, Massachusetts, Rhode Island, and Vermont. The Urban Harbors Institute is part of the University of Massachusetts Boston. It uses policy, scientific, planning and management expertise to assist governments and communities in tackling the problems and issues associated with harbors and coastal areas. The Northeastern Regional Association of Coastal Ocean Observing Systems is a component of the national IOOS, spanning coastal waters from the Canadian Maritime Provinces to the New York Bight. Our mission is to make available information to those who use these waters. We provide weather and ocean data to fishers and commercial shippers determining if conditions are safe for passage and to emergency managers issuing storm warnings. We are also advancing efforts to use these data for water quality monitoring, harmful algal bloom predictions and warnings, and coastal flooding and erosion forecasting systems.Visit site. The mission of The Nature Conservancy is to preserve the plants, animals, and natural communities that represent the diversity of life on earth by protecting the lands and waters they need to survive. The Conservancy recognizes that people are a vital part of ecosystems, and working closely with communities is a cornerstone of our conservation philosophy. We work with partners throughout the Gulf of Maine on projects designed to improve the scientific understanding of marine ecosystem dynamics, promote comprehensive and coordinated planning initiatives, restore degraded coastal and estuarine habitats, and rebuild depleted populations of marine and sea-run fishes.Visit site. The Cooperative Institute for the North Atlantic Region (CINAR) facilitates funding and cooperative research between NOAA and five partner academic institutions (Gulf of Maine Research Institute, Rutgers University, University of Maryland Center for Environmental Science, University of Maine, and the Woods Hole Oceanographic Institution). The mission of CINAR is to conduct and coordinate cutting-edge research engaging both NOAA and academic scientists to enable informed decisions by NOAA for sustainable and beneficial management of the northwestern Atlantic shelf ecosystem.Visit site. The Nature Conservancy of Canada is celebrating its 50th anniversary this year and has helped protected 2.6 million acres of sensitive habitat across the country. This includes more than 120,000 acres of wetlands, forest and coastal areas in the Atlantic Provinces and Quebec Region. 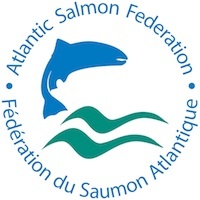 The Atlantic Salmon Federation is a non-profit incorporated in the US and Canada. We are dedicated to the conservation, protection and restoration of wild Atlantic salmon and the ecosystems on which their well being and survival depends. Our organization was started almost 70 years ago and today we have seven Regional Councils throughout New England and the Canadian Maritimes. Our work is focused on improving the health of the salmon watersheds through scientific research, targeted advocacy campaigns, regulatory work and in the United States, direct involvement in restoration projects that address the legacy of barriers in Maine rivers.